• Clear Intent - Know what you want to program the crystal to do. • Focused Action - This method is one focused action. Step One - Clear your crystal (The cleaning process of crystals) with whatever method you prefer, and sit down with your crystal at your personal altar or in a place that you're not likely to be disturbed while you are programming your crystal. With the Stone being newly cleared, the energy will feel stronger and even more appealing that before. Step Two - Hold the crystal in your dominant hand (right hand if right handed) and take your other hand, hold it on top of the crystal about one or two inches from it. 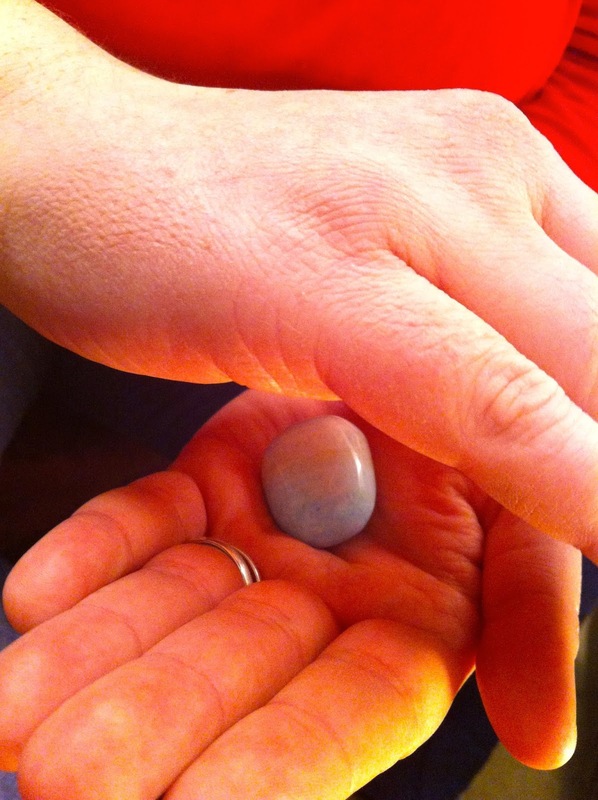 If you are sensitive enough, you will feel the energy flow from your one hand to the other with the crystal in between. After clear your mind of unrelated thoughts and be relaxed. Than quietly ask the crystals if it is willing to act in the way you wish. The Crystals energy may increase with a yes or seem to disappear with a no. If the Stone accepts your intent, state in your mind that it be so. Step Three - On all walls (all sides) of the crystal, create images of your wish. See the facets like movie screens with what you want happening. It is important that your pictures be very alive, very fluid. Focus on your intention for your crystal by saying descriptive words aloud. For instance, if you want to program your crystal to bring peace of mind, start repeating the words "peace of mind" over and over again. A whisper is fine if a normal tone of voice would attract distracting attention from others. Step Four - Repeat your intent verbally into your non-dominant hand, then place that hand over your crystal to push the vibrations into the crystal. Step Five - Continue holding the crystal and repeating your intention until it feels as though the vibrations have sunk into the crystal fully. If necessary, repeat step four. The new vibrations are now stored in the crystal, the program will stay until you clear the crystal again; some people think that it is best to seal the crystal. You can imagine a blue light around the crystal to seals it. Once your intuition tells you or you have a sense that the crystal has accepted the vibrations, open your hands and thank the crystal. The crystal is now programmed. This method can also be used with tumbled stones, spheres, polished crystals, and natural chunks of minerals, as well as natural crystals. 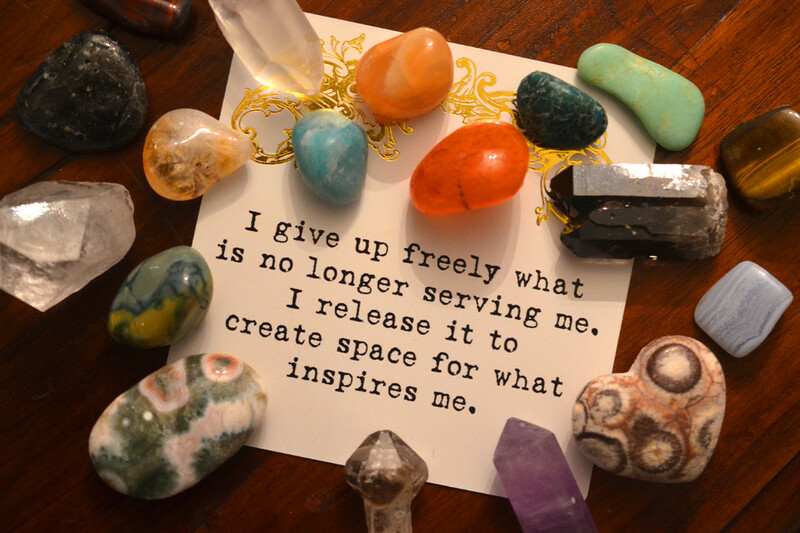 To retrieve and use the crystal's program, hold and rub the crystal while asking (silently or out loud) for its programming to be released and those energies come out. To erase the crystal's program, simply clear the crystal with intent to remove the programming. The better your concentration is the better you can use this technique to transmit your wish into the crystal. It is recommended that you develop good concentration skill. You may also choose to dedicate your Gemstone or Crystal to a specific healing energy, for example, to a Goddess of healing. There are many healing goddesses, including Shiv, Shakti, Vishnu, Lakshmi, Jesus, Allah and Om etc... For Stones programmed for protection, Bhadhrakal or Kali are strong protection Goddesses.